← 483 "The Real Housewives of Fat Tony"
I do not deserve a Mother's Day gift for being "one badass mother"
Mrs. Muntz appears with the caption: "Mother's Day Special: I'm Half Off"
Homer flies by on a flying carpet. 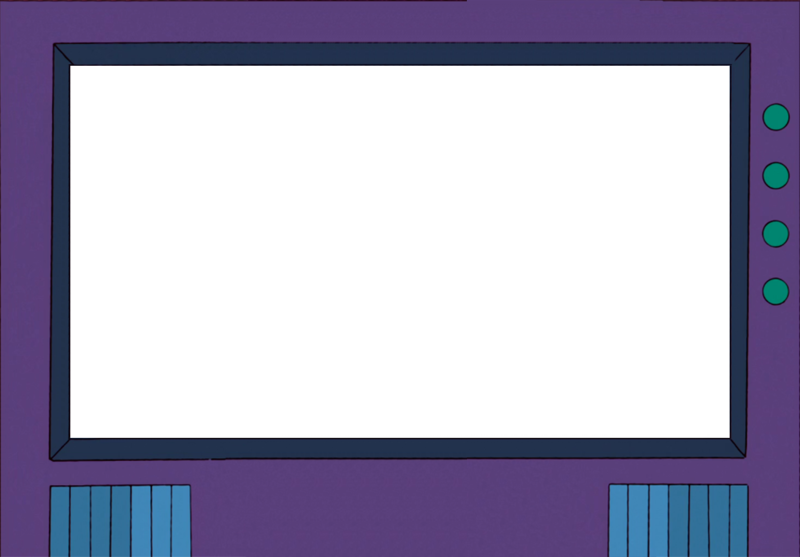 "Homer Scissorhands" is the twentieth episode of the twenty-second season of The Simpsons. It originally aired May 8, 2011. "After Homer discovers a genius talent for styling hair and opens his own salon, he becomes Springfield's most in-demand hair stylist. But having to listen to women's problems and gossip all day long leads Homer to believe his gift may actually be a curse. Meanwhile, when Milhouse decides to live each day to the fullest, he comes out of his shell and professes his love for Lisa, only to have his heart broken. Milhouse then catches the eye of popular fifth-grader Taffy, causing Lisa to make a bold move." Lisa is painting a picture of Patty and Selma in the backyard. Bart then stands in front of the picture making Lisa paint him in ruining 6 months work. This causes Lisa to get mad and throw her palette at Bart which ends up getting into Selma's hair. They get Homer to help them, but all he does is laugh making Lisa persuade him to cut Selma's 'painted hair' with the garden shears. I results in Selma having decent hair making Patty want her hair cut as well by Homer with great result. After Homer gets paid $100 to cut hair in his house who asks if Homer has a salon so he decides to open. He becomes Springfield's most in-demand hair stylist with his salon 'Are we hair yet?'. But having to listen to women's problems and gossip all day long leads Homer to believe his gift may actually be a curse and trys to commit what he calls 'barbercide'. He tries to close the salon but Chief Wiggum annoyed him so he can't close it. He then trys doing his job inadequately but his genius can't be stopped. In order to stop people from coming to him to get their hair cut, he styles Marge's hair for a party, amazing everyone, and tells them that Julio did it which works with all the women wanting haircuts from Julio. Meanwhile, when Milhouse decides to live each day to the fullest, he comes out of his shell and professes his love for Lisa, only to have his heart broken. 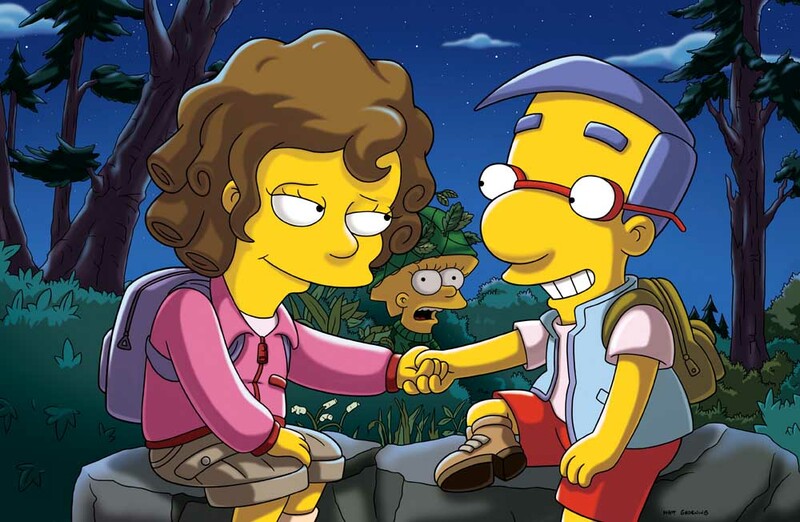 Milhouse then catches the eye of popular fifth-grader Taffy (guest star Kristen Schaal), causing Lisa to spy on them. When she reveals herself to them Taffy breaks up with Milhouse because he still loves Lisa and she kisses Milhouse to make him happy. Modified on July 16, 2017, at 03:35.